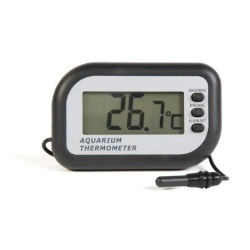 Thermometers for your home and garden. ETI offer an extensive range of practical and easy to use home and garden thermometers. 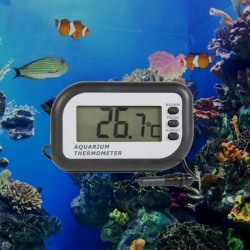 The range includes healthcare thermometers, aquarium and garden thermometers to name just a few of the many products available. Every year thousands of people are scalded, the majority are the elderly or children under five. However, there are also numerous incidents of scalding each year in commercial kitchens and factories. The degree of scalding does depend on the actual temperature, the volume of delivered hot water and the contact time. Evidence of scalding increases rapidly with temperatures of 45°C or above. To help eliminate the dangers of scalding, it is essential to regularly check the temperature of hot water (see chart below) with an accurate thermometer. In a kitchen environment - practicality and safety from scalding come into direct conflict - water needs to be of a temperature of between 46 to 48°C to ensure thorough removal of grease, but at these temperatures, great care must be taken to avoid the risk of scalding. The normal core body temperature of a healthy, resting adult human being is stated to be at 37°C (98.6°F). This may vary slightly due to an individuals metabolic rate, the time of day or the part of the body where the temperature is taken. Clinical research has shown that the ear is an ideal site for taking body temperature, since the eardrum shares the same blood supply with the hypothalmus, the part of the brain that controls body temperature. The ear thermometer quickly measures the infrared heat given by the eardrum and surrounding tissues, converting this into an oral equivalent.